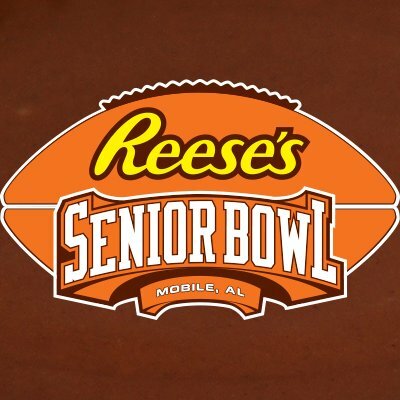 The 2019 Reese’s Senior Bowl kicks off on January 26. That, for many, presents an opportunity to witness some of the best up-and-coming talents at collegiate level. 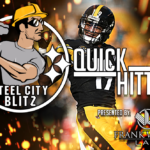 More importantly for the Pittsburgh Steelers, it provides an opportunity to potentially unearth a hidden gem in the 2019 NFL Draft. The motive of this article is to highlight eight key players who would benefit the Steelers roster in 2019. Therefore, positions we are absolutely solidified in will not be covered. Senior Bowl practice has been in full swing this week and Deebo Samuel has stolen most of the headlines. As a South Carolina Gamecock, Samuel completed four years at the University. He competed in 30 games, compiling 148 receptions for 2076 yards and 16 touchdowns in the process. Across the four-year span, he averaged 14 yards per catch. Furthermore, he was also effective in the run game as he rushed 25 times for 154 yards and 7 TD’s. In practice, he has displayed incredible burst in one-on-ones, whilst also boasting solid agility to make quick cuts in open field. He ranked among the top six fastest players on the South team, clocking in at 20.8. In addition, he also found himself beating his opponent at the line before the play took place, leading to multiple wide open passes. Samuel has been touted as a late second round pick, which could continue to rise should he perform well in the Bowl game. Rock Ya-Sin is an incredible athlete, someone I was lucky enough to watch in person at Temple University earlier this year. His senior year at Temple was impressive to say the very least. Through 12 games, Ya-Sin amassed 47 tackles, 2 sacks, 12 pass deflections and 2 interceptions. At Senior Bowl practice, Ya-Sin dominated. Critics across the board have viscously touted him among the top 5 corners in the upcoming draft. It’s no wonder either, he’s been able to compete with the likes of Deebo Samuel and Hunter Renfrow thus far. Rock performs best when utilised in press-man coverage, often getting the better of his opponent. He admitted this himself, stating: “I feel like I’m a dominant press-man corner. I feel like I play with sound technique.” Many have him among the top performers in practice, let’s see how he transforms his production on Saturday. I’ve been high on Jake Bailey for some time now. For me, he could be the perfect replacement for Jordan Berry, who struggled immensely this past year. Bailey attended a Bowl game in every year of his four-year collegiate career. With a total of 185 punts, Bailey notched 8104 yards, whilst averaging 43.8 yards per attempt. He possesses a gigantic leg, having kicked for a long of 84 yards. He concluded the season 2018 season with 59 punts for 2595 yards, which includes 21 attempts inside the 20. Bailey has been projected to be selected between the sixth or seventh round in the 2019 Draft. Terrill Hanks has impressed at the Senior Bowl this week, despite coming from a small school. As a New Mexico State Aggie, Hanks concluded his collegiate career with 391 tackles. He also demonstrated the ability to get behind the line of scrimmage, notching 43.5 TFL and 11 sacks. Additionally, he proved to be a game-changer as he contributed 1 pick six, 8 interceptions and 3 forced fumbles. The most impressive thing about Hanks is that he can truly go toe-to-toe with whoever his opponent is. He is excellent in coverage, possessing solid speed and the ability to disrupt plays. At 6”2’ and 235lbs, he plays like a converted defensive back (he did, in-fact, begin his career as a DB), with great speed and agility. Finally, Hanks has demonstrated hard-hitting ability, especially in the backfield as depicted below. Moreau was a standout all week, and throughout his collegiate career. More importantly, there remains reports circulating that he met with the Steelers earlier this week. At LSU, Moreau didn’t feature for the team in his freshman year. In his sophomore season, he only played in seven games. Nevertheless, he concluded his career with 29 starts. Within those he amassed 629 yards and 6 touchdowns on 52 receptions. Most impressively, he average 12.1 yards per catch, despite his number of targets being incredibly low. At practices earlier this week, Moreau was solid in blocking. He also won several one-on-one battles with defensive backs, using his frame and strength to out-muscle his opponent. For his efforts, he was nominated as the Reese’s Senior Bowl Practice Player of the Week for tight ends. He also produced a couple highlight reel plays, including this diving touchdown snag. Montez Sweat is just a dominant force. A freak of nature of sorts. He’s doing the rounds this week amongst draft critics, but for Sweat it’s just another hurdle in his NFL journey. “I just continued to show what I showed all year, getting after the ball, getting after the passer, just playing my heart out.” He exclaimed, regarding his practice performances. Despite not featuring in his sophomore year at Michigan State, he transferred to Mississippi in 2017 and immediately dominated. Sweat’s senior year was easily his best however. That year, he contributed 53 tackles, 14.5 TFL and 12 sacks. Subsequently, he was named a First Team All-American and First Team All-SEC. Sweat combines speed and strength to get the better of O-lineman. In-fact, he’s proved to be a nightmare all week in practice, simply embarrassing his opponents numerous times. He also possesses all the right physical attributes to dominate. His frame stands at 6”6’, whilst he weighs in at 252lbs. As many Steeler fans detail their hopes of the Steelers moving on from Bud Dupree, perhaps they should look in Oshane Ximines direction. Ximines was a stud at Old Diminion. Through four seasons, he contributed 176 combined tackles. He was another athlete who found success behind the line, adding 51 TFL and 32.5 sacks. He also added 2 forced fumbles and 1 interception. Reports have detailed the fact the Ximines is a coaches dream, who always gives 110%. Despite his smaller stature, he has been a handful in practices this past week. His speed and agility are a lineman’s worst nightmare, with his quick feet often startling his opposition. Many analysts have Ximines being selected in the late first/early second rounds, however, I can’t see it. For me, he’ll be snagged in the third round of the draft. This is largely due to his stature, and the footage of him getting bested by his opponent a couple times this week. 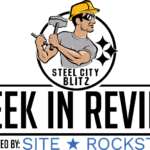 Overall however, he has impressed immensely. Last but certainly not least is Te’von Coney entering the draft out of Notre Dame. In three of four years at the University, Coney participated in a Bowl game. After his four-season collegiate career, he accumulated 313 tackles, 23 TFL and 7 sacks. Moreover, Coney also added 1 interception, 4 pass deflections and 1 forced fumble also. After his Senior Bowl practice displays, Coney is ranked among the top 5 linebacker prospects this year. He is exquisite in attacking the run, whilst also performing at a solid level in pass coverage. He himself has admitted that run support is his best asset, however, he remains committed to improving his skills in coverage. The Senior Bowl has been integral in the selection of our previous draft picks, having picked a player from the Bowl game in every year since 2011. Besides that, 5 of our 2018 draft selections attended the Senior Bowl last season. That’s how important this game truly is. Well folks, that’s it for our prospects you should be watching come Saturday. Think we’ve missed one? Comment below with your own suggestions. Image Credits – @seniorbowl on Twitter.